DN6 - DN20 1/4" - 3/4"
Bestobell supply a range of safety relief valves, the quality and integrity of these valves has been established through years of worldwide service. These valves are designed for the protection of static and road-going storage tanks against damaging over pressurisation. There are three basic sizes defined by the throat diameter and these are available with a variety of inlet and outlet connections the valves are designed and factory set to lift repeatedly within +/- 2% of the set pressure, and to re-seat above 92% of set pressure. Spring pre-compression and blow-down ring settings are lead sealed after test to inhibit unauthorised tampering, as these products are a category four-safety product. During testing pre-delivery, flow rates at 10% above set pressure are measured to ensure compliance with stated flow capacities. Each valve is individually calibrated and stamped with the date of manufacture, and has it’s own unique serial number prior to dispatch. 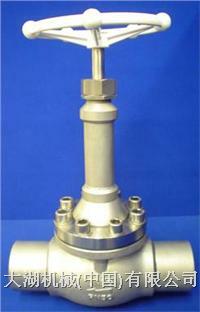 All materials used are selected for their suitability to function at cryogenic temperatures. All valves are degreased for oxygen duty.